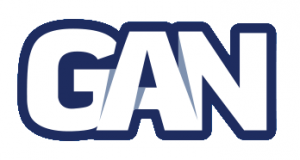 It’s no industry secret; GAN’s US-based operation is growing at a rapid rate. However, the company struggled in Europe during 2018. As a result, the online gambling technology provider is considering selling the business. In fact, the company’s overall revenue was up YOY in 2018, although GAN’s profits suffered severely. Last Friday, GAN informed its investors that its total net revenue hit $13.9 Million in 2018, which is an improvement of 16% from the year before. Unfortunately, the company’s earnings dipped to $1.9 Million from a clean $584,300 profit in 2017. Not to mention, GAN’s pre-tax losses grew by $3.2 Million to $8.7 Million in just one year. According to the provider, the statistics above don’t tell the whole story. Which, they’re right, GAN is showing strong gains in New Jersey online gambling market. In July 2018, the company launched its second online client with Ocean Resort Casino. And that came right after joining forces with NJ-licensed Betfair Casino. Soon after that, GAN helped launch online sports betting for Betfair’s FanDuel brand in the Garden State. Plus, they’re expanding into new markets as they open up on a state by state basis. A little over a year ago, GAN inked a five-year patent deal with Betfair. Since then, the company remains confident that it can convince other operators into licensing its patent technology. Also, they have a growing sports betting deal with FanDuel that stretches across three states. So in terms of growth, GAN is quickly gaining traction in the US. With that said, they should have no problem selling the business. As of now, no discussions of a sale is on the table, but they’re engaged with Union Gaming, an advisory firm that provides counsel on this front. Therefore, it’s likely GAN is gearing up and preparing the company for a hot sale.